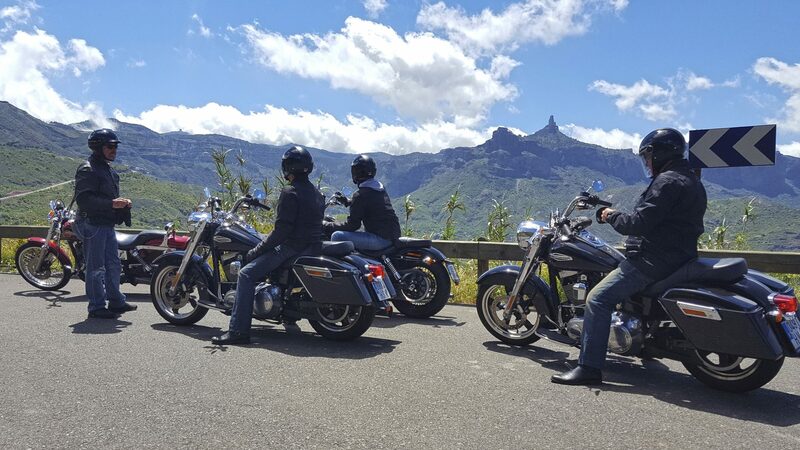 This is a tour that starts in our headquarters in the city Las Palmas de Gran Canaria, located in the north of Gran Canaria. 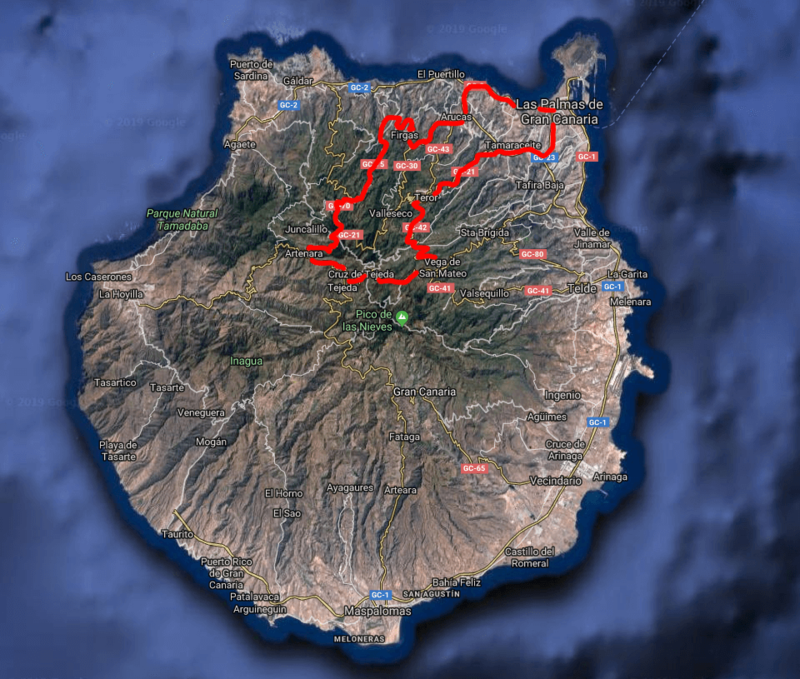 We will drive on the north side of the island and up to Cruz de Tejeda, located in the center of the island. 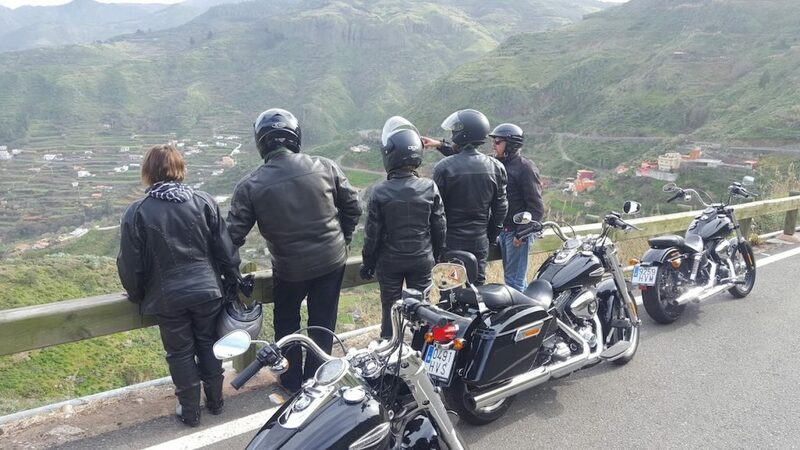 To get there we pass by the villages of Arucas, Firgas, Moya, Fontanales, Artenara and Cruz de Tejeda. After Cruz de Tejeda we go close to San Mateo for local lunch. From here we go to the town of Teror where we will stop to visit the church. 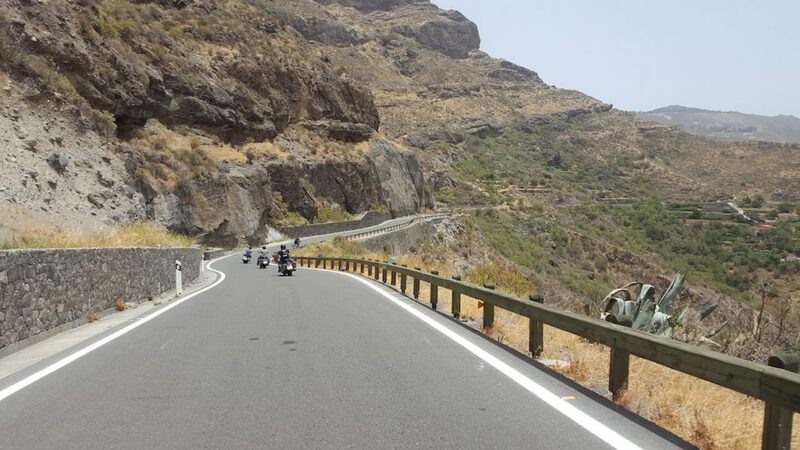 After this stop we will return to our garage in Las Palmas de Gran Canaria. 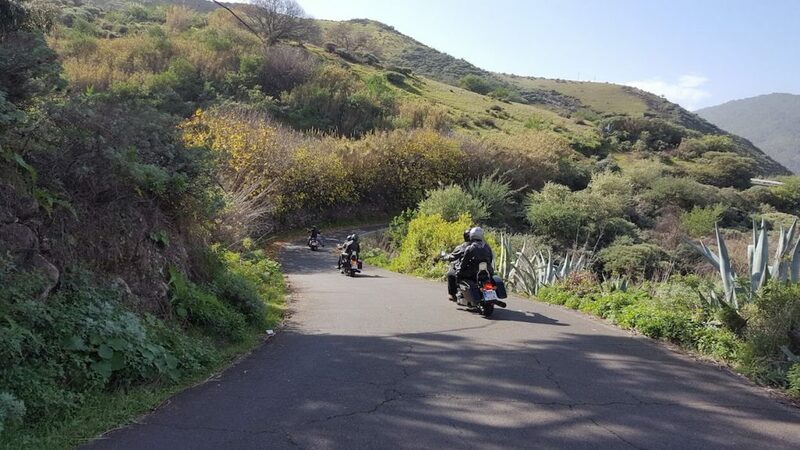 This route has an approximate distance of 125 km and is done in an estimated time of 6-7 hours.